Before I got this jersey, I’d come across the brand once or twice on IG. 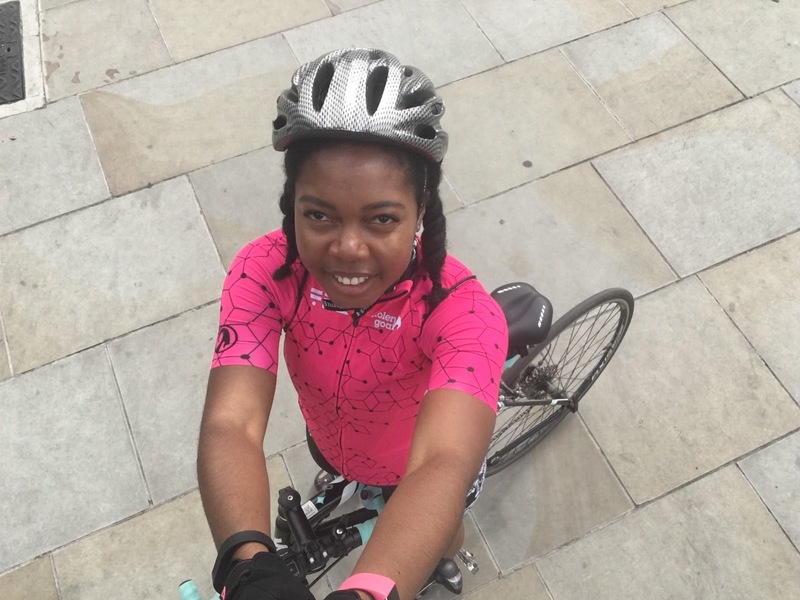 The pink jersey immediately caught my eye and I figured it’d go towards helping me be extra visible when on the road. I chose a small which is my usual size in regular fit (as opposed to professional fit) cycling clothes; it’s a really close fit but not tight. The short sleeved arms have no seams so it helps them to sit flush on your arms without creating sausage arms (in addition to the potential sausage legs you may have from your shorts). 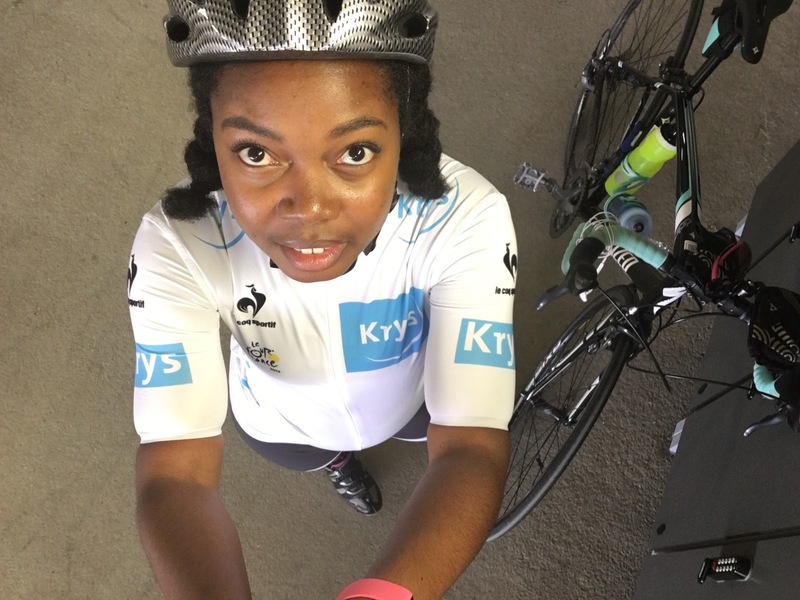 One of the most important factors for me in a cycling jersey is the addition of pockets on the back; if you’re out on a ride and don’t want to carry a bag then they’re useful for stowing your food, phone (& selfie stick), keys, tissues etc. The first time I wore this jersey it did seem to ride up at the back a bit but I think this may have been a combination between the bib shorts I wore (not from Stolen Goat) and the drawstring bag I had on my back for the entire ride. On the day when the sun eventually peeked out, I was able to just unzip the zipper at the neck and allow myself some extra air to cool down. After attending SPIN Festival again earlier this year and bumping into the awesome peeps at Hiplok again I was more than pleased to see the newest addition to their range, the FLX. I’m already a fan of their locks (check out my post about them here last year) but since moving to Essex I mostly go out on rides as opposed to commuting so the need for a heavy lock has been reduced. 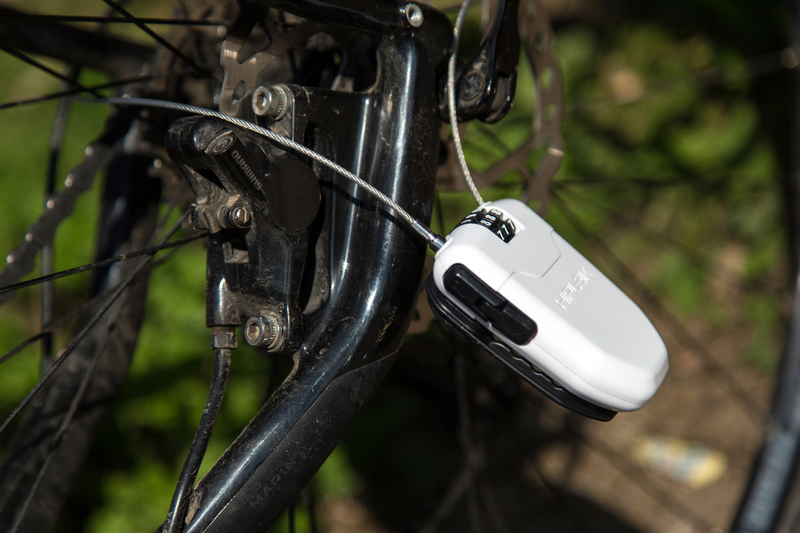 The FLX must be the smallest lock I think I’ve ever seen – a three digit combination and a wire with an added light and clip so you can easily attach it to your clothes or bag. Having an extra light never hurts especially if you end up being out after dark and not planned for it! It’s nice and lightweight too meaning it can be used as an additional lock when you’re out and about. I’ve used it on a group ride when we’ve locked our bikes up outdoors (to head into a restaurant for brunch, obviously) and then secured all of our wheels with the FLX. Threo were a brand I was aware of already but I used the opportunity of SPIN Festival again to meet them in person and also check out the kit for size and quality. 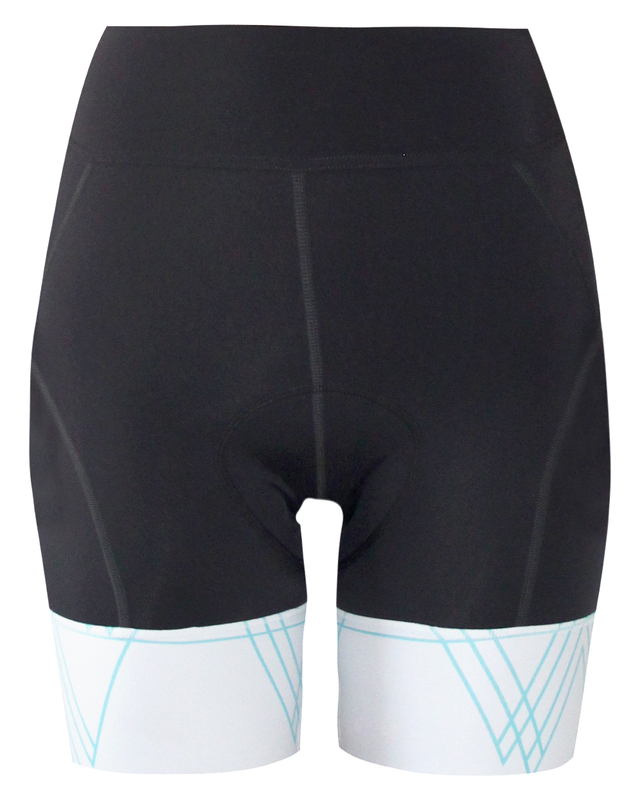 I choose a pair of the Richmond Park cycling shorts and after having worn them on numerous rides, I’m 99% sure they’re gonna be my choice for race day. I love that they’re not bib shorts so I don’t have to get fully undressed each time I need to use the bathroom. Come race day, I don’t wanna be scrambling around in a portaloo. However, the waistband comes up nice and high, especially at the back and never moves – I never notice them when they’re on and that is always a good thing! There’s also a zippered pocket in the back waistband which is useful to store a small set of keys safely. Of utmost importance too is the chamois; the pad that sits in the crotch of the shorts and provides extra cushioning for what will be hours on the saddle. When I wore the Threo shorts, there was nothing notable to report; when I wore a different pair and spent a considerable amount of time adjusting them I realise how much I appreciated the Threo ones! As an aside, I’m not sure if this is a cyclist thing but I despise wearing shorts and jerseys that don’t match. I wouldn’t wear an outfit to workout or teach that didn’t match so it really hurts my heart when I have to do so on the bike. But bike kit doesn’t come cheap so I can understand why people do it. I’m lucky enough to have an official Tour de France jersey that pairs amazingly well with the Threo shorts which is another reason I’m likely to wear them on race day! After a few weeks of long Sunday rides I realised I had a problem that needed solving. Whenever I was cycling to a destination that I wasn’t sure of the route, I had to stop every so often to get my phone out and check the route. This added considerable time to my journeys and almost made me miss a ride one particular week! 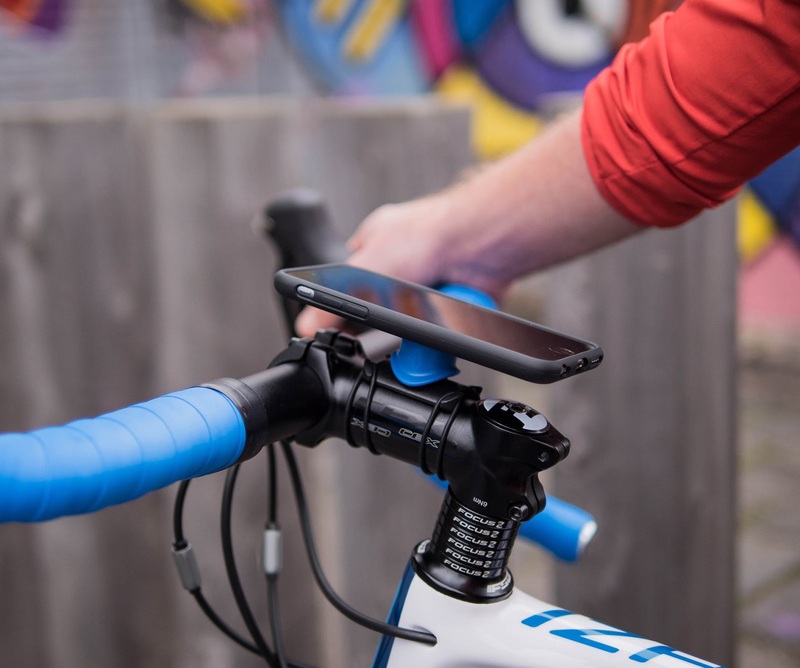 So I reached out to the #UKCycleChat community on Twitter and asked what device they recommended to attach my phone to bike and this is what they suggested. I picked up mine online from Evans specifically for an iPhone 6/6s as I don’t plan on changing my phone anytime soon (check out the full range here). If I should change my phone though, I’d just need to get a new case or an adaptor to stick on my new phone as the bike mount would still be fine. 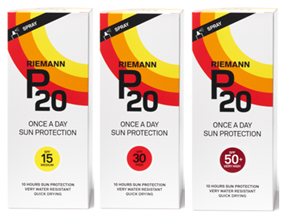 I think this was one of the best improvements to my rides in recent weeks; it takes 60s to fit and when I tested it out on a fickle day (rain and sun alternating) it was no issue as it also comes with an extra cover to put over your phone to protect it. It’s looks and feels secure when cycling and once you get the hang of attaching and removing it, that takes just a moment. 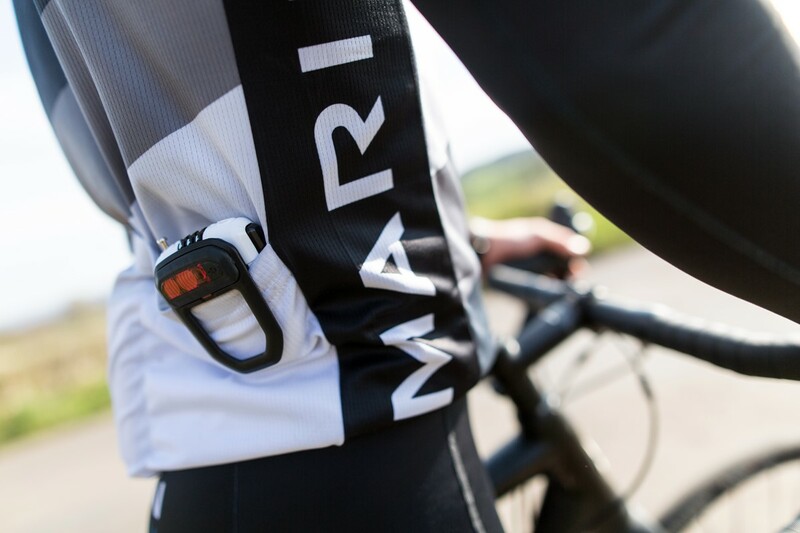 So that’s my run down of the kit I’ve been testing over the last few weeks for the sportive. At this stage, I’m pretty happy with everything I have got. The only thing I would consider updating before I get to the start line are my shoes; I find they start to get uncomfortable after a long time as I think my toes are a little squashed in them. Hopefully I find the time (and money) to update them before my event but if not, I will make do for now. I’m off to an evening at a bike shop in a couple of weeks with Chris Boardman in attendance and they will be doing bike checks here so that will be the final check for my little blue bicycle. Any kit tips for me?! Anything that will make me more comfortable or make life easier?! Great reviews! I think good bike shorts are one of the hardest things to find. I love that cycling jersey! It's so hard to find good cycling clothes that fit well and have enough pockets, so I might need to check that one out!